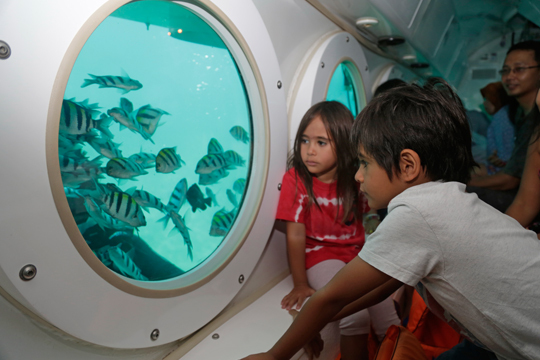 The exotic undersea world can now be experienced by people of all ages and physical condition in a safe and comfortable atmosphere. 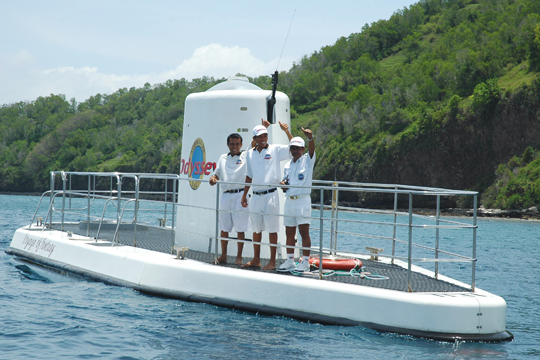 Odyssey Submarine Bali departs from Amuk Bay near Candidasa on Bali’s east coast. By appealing to everyone from professional scuba divers to the most timid non-swimmers, this sightseeing submarine excursion attracts passengers from all walks of life. Battery powered so as to pose no threat to the fragile marine environment, the submarine can carry 36 passengers in air-conditioned comfort to depths as great as 50m. You will be able to look out and see the fantasy of rarely visited reefs and a wide variety of coloured marine creatures in this famous Bali dive site. 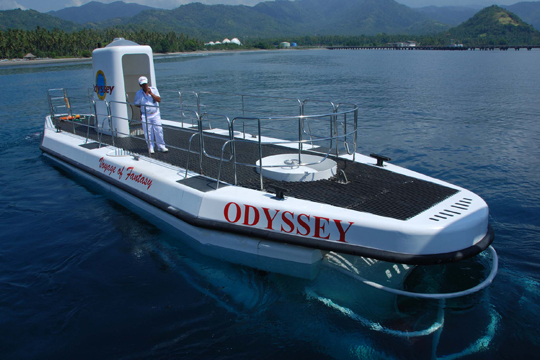 Safety is assured in Odyssey’s highly sophisticated vessel to ensure your voyage to the bottom of the sea will be smooth and effortless, guiding you on an adventure that will stay with you forever.